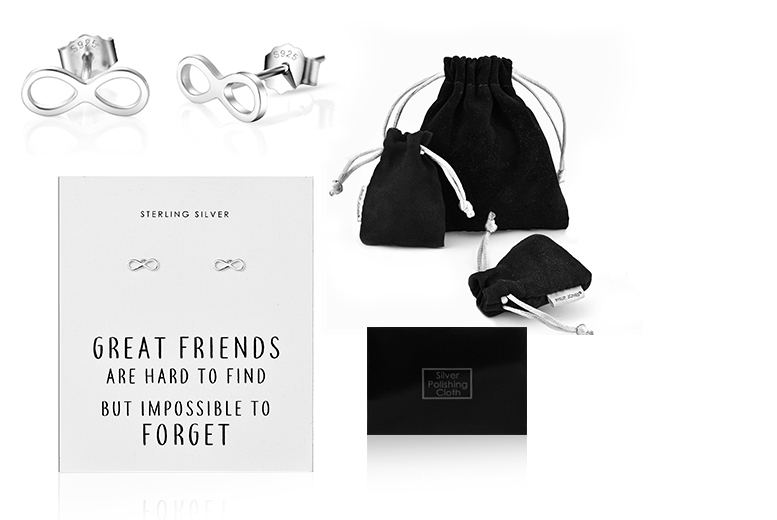 Get a pair of sterling silver infinity earrings. Presented on a gift card with a friendship quote! And with a jewellery pouch. Earring dimensions: 4 mm x 10 mm.